Join SOCAPA and CATAMOUNT ARTS for this exciting and educational film-focused weekend hosted at the St. Johnsbury Academy. 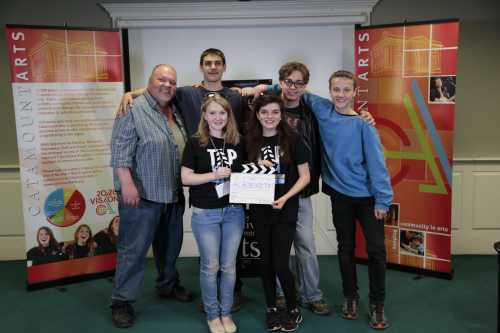 Groups of 3-5 young filmmakers write, direct, and edit a short film in just 48 hours. At the final showcase, a winner will be selected from each age group, by a panel judges, for up to $750 in cash prizes. All scripting, shooting and editing must take place within the 48 hours, so teams must have spontaneity, time management and lots of ingenuity! Although the event is competitive, the environment is welcoming, supportive, and most importantly, fun! We are excited to be hosting this year's event on the beautiful campus of St. Johnsbury Academy, where teams can LEARN and CREATE together! We are grateful that the St. Johnsbury Academy has opened their doors for this event, and we expect you will be inspired by the facilities available for this educational weekend. MAKE A MOVIE WITH FRIENDS IN JUST 48 HOURS! 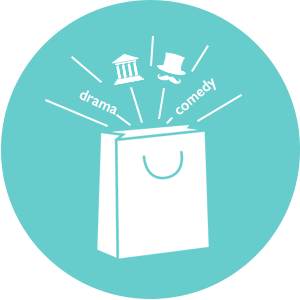 Attend the opening ceremony and receive a goody bag containing required script elements. 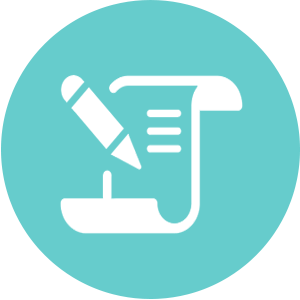 Write an original script using the required items from your goody bag. Shoot and Direct your film! Edit your film and deliver it to the judges. 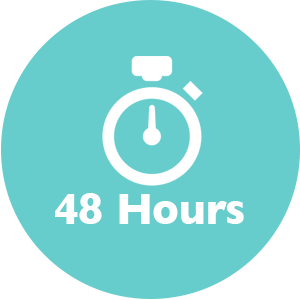 Do it all in just 48 hours! Stop by and experience St. Johnsbury Academy's new Immersive Learning Virtual Reality (VR) Program. Try on one of our VR headsets and visit the International Space Station or explore Ancient Rome. Take an adventure to another world simply by putting on a headset. You'll also have a chance to check out some of our high-end experiences which add motion tracking and haptic feedback to trick you senses into believing you are someone or somewhere else. The Immersive Learning Lab at St. Johnsbury Academy is a highly-equipped, dynamic, and flexible space designed to serve students using and designing for virtual reality. The space contains a classroom set of Oculus Go headsets, an Oculus Rift, Merge Cubes, a green screen, and computers and accessories built with VR in mind. The immersive experience enabled by this lab facilitates greater understanding of situations and experiences that can be impossible to replicate in the analog world. Students use the lab not only to develop these understandings, but also to begin implementing their own virtual experiences. Audience Favorite award - $250. Thanks to Kingdom Access TV: This Year There Will Be More Awards in More Categories! Matt is a creative filmmaker and cameraman who has worked on film and television productions across the globe. In 2008, Matt produced, directed and provided principle cinematography for Disney’s The Crimson Wing, a feature length documentary on flamingos in East Africa. Matt is currently working on Netflix's "Our Planet" - premiering April 5th - check out the trailer! Matt's other credits include: Serengeti Symphony, The Leopard Son, and Walt Disney’s Bears. Matt has also worked as a specialist cinematographer for dramatic feature films, includign Hummingbird, produced by Paul Webster, and Michael Bay’s Transformers franchise on the IMAX format as a Director of Photography (Iceland Unit). Matt currently resides in Kirby, Vermont, from where he travels across the globe to film sequences for high-end wildlife television. Alex Coulombe is the Co-Founder and Creative Director of Agile Lens: Immersive Design, a VR (virtual reality)/AR (augmented reality) content studio, and a graduate of St. Johnsbury Academy. A recognized thought leader of this emerging field, Alex graduated from Syracuse University with a B. Arch in 2010 and found his passion in purposing new technology for architecture firms. Using cutting-edge software and devices, Alex crafts tailored workflows focused on XR’s singular contributions in the design process, from initial concept through project completion. He specializes in VR’s capabilities beyond simple representation, particularly, its potential for design and communication. He develops tools and experiences for desktop, mobile, and browser-based VR/AR platforms, recently garnering particular attention for his work with Magic Leap, featured in their LeapCon inaugural keynote in October 2018. Alex Coulombe is the Co-Founder and Creative Director of Agile Lens: Immersive Design, a VR (virtual reality)/AR (augmented reality) content studio. A recognized thought leader of this emerging field, Alex graduated from Syracuse University with a B. Arch in 2010 and found his passion in purposing new technology for architecture firms. A Vermont native, Isaac Littlejohn Eddy joined NVU-Johnson in fall 2015 to teach acting, dramatic literature, directing and theater history courses. He moved to NVU after serving for 12 years as a member of the Blue Man Group, the award-winning theatrical performance entourage. As part of the production, Isaac helped cast and train Blue Men, wrote some of the material and performed in nightly shows in New York, Chicago, London and Las Vegas. Isaac has led workshops and lectured on improv, acting and devised experimental theater at New York University's Tisch School of the Arts, the University of Michigan, Curry College and the Vermont Governor's Institute on the Arts. He is a founding member of the immersive theater group Fixed Agency, which had a residency at the BLDG92 museum in the Brooklyn Navy Yard in New York and presented "Private(i)" at the Brooklyn BEAT festival in 2014. The Comfort Inn in St. Johnsbury is graciously offering rooms at a reduced rate of $119/night for film slam participants. Just mention you are participating in the film slam when you book your room. Book your room early to make sure you get a spot while they last! Don't know how to make a film in 48hrs - or at all? SOCAPA, The School of Creative and Performing Arts, is offering a free 48hr Film Workshop for all Middle School and High School Teams. 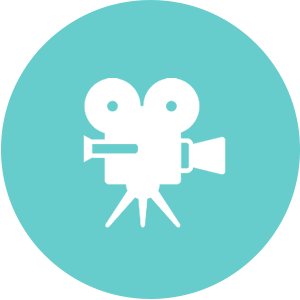 Designed to run tandem with the 48hr Film Slam, participating Teams will be provided expert guidance in basic filmmaking by SOCAPA's experienced Filmmaking Instructors. Classes will be offered in story development, screenwriting, and camera and sound equipment use, as well as film editing and exporting in order to allow students of all experience levels to participate in the weekend event and have fun! Instructors will not lead teams during production, but will be on hand to ask story advice, field technical questions, and assist in exporting final films. The hardest part of a 48hr Film Slam is generating an idea. After the opening event on Friday evening, SOCAPA Instructors will provide a basic overview of three-act structure, screenwriting software and techniques for generating a story idea before teams break up to pitch ideas and write a script. Instructors will be on-hand to field questions or critique story pitches. SOCAPA wants each team to craft an amazing story, but each story should be your own - SOCAPA Instructors will guide participants toward shootable and unique stories, but will not be the main source of story ideas. Don't know how to use your equipment or want some pro tips? SOCAPA Instructors will work with teams one-on-one to familiarize participants with the equipment on Friday night. Participants will learn how to safely handle and operate their cameras and sound gear. Instructors will introduce concepts of exposure, aperture, shutter speed, white balance, audio levels and mic position in order for each team to achieve a good looking and sounding film. Instructors will be on-hand throughout the weekend event to answer technical questions or problem-solve issues teams may encounter. Each Team that participates in the SOCAPA 48hr Film Workshop will have a SOCAPA editing computer reserved for them. Each computer will be outfitted with Adobe Premiere Pro, Final Cut X and IMovie. SOCAPA Film Instructors will be on hand to assist with basic editing techniques, and will do their best to aid teams with any editing software each team chooses. 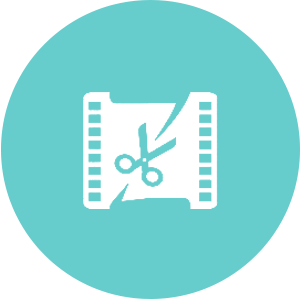 Assistance with Film Exporting will also be provided so that all teams can submit the correct video file to the judges. SOCAPA Instructors will not be supervising the editing lab, so Team Leaders must be present at all times. Don't have your own equipment? Don't let that stop you! All Middle School and High School participants in SOCAPA's 48hr Film Workshop may opt to borrow a production kit from SOCAPA including an HD Camera, a tripod, a boompole and sound recording gear. Teams using SOCAPA gear will be required to go through a camera and sound tech overview before starting production to learn how to safely handle and use your equipment. Teams will be responsible for any damaged gear at the end of the event, so please be careful! 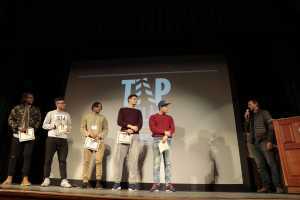 Congratulations to all 29 teams that participated in the 2018 student film slam. Your creativity, ingenuity and determination was shown in all the films. We hope to see you next year! TAP INTO FILM would not be possible without the generous support of our sponsors. Please email Jody Fried at [email protected] if you would like to become a sponsor.